The descent and landing of the rover Curiosity, expected to finally reach Mars on Aug. 5, has been described as “seven minutes of terror” by those at the National Aeronautics and Space Administration (NASA). NASA is not surprisingly filled with space geniuses and several of them video games could be a pretty incredible way to get kids to get excited about science. 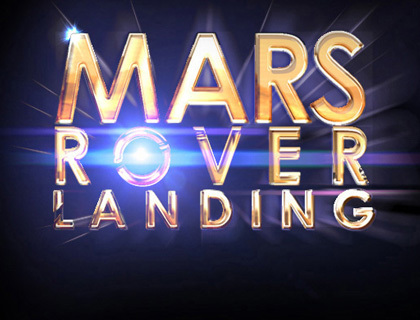 We were so excited to get the call from NASA and even more excited at the opportunity to work with real astronauts and rocket scientists on Mars Rover Landing, available free on Xbox LIVE today! 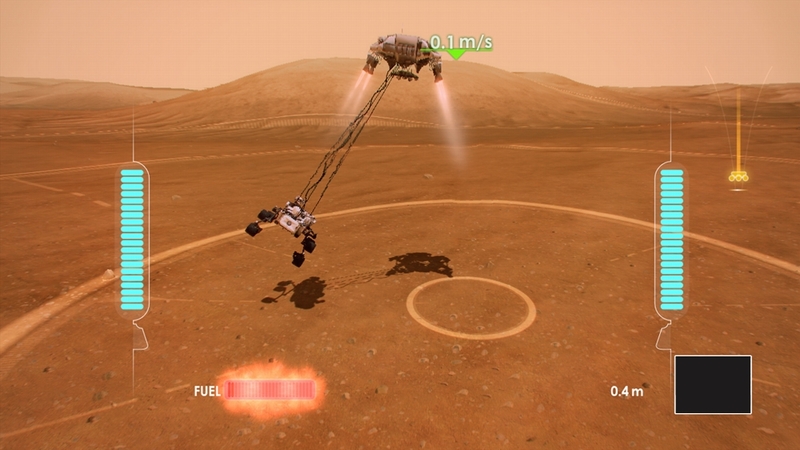 To play Mars Rover Landing, players will use body movements, read by the Xbox 360’s Kinect motion controller, to control the craft and attempt to land it safely on Mars. “We’ve tried to simulate that heart-pounding, sweat-dripping seven minutes using Kinect and using users’ control of their bodies to get the landing right,” Microsoft’s Dave McCarthy says. Upon entering the atmosphere of Mars, the craft is traveling at about 13,000 mph. A supersonic parachute must be properly deployed, and the heat shield, which reaches 3800 degrees Fahrenheit at its peak, must be jettisoned during the descent. Rocket engines must be deployed prior to the lowering of the tethered Curiosity rover to the surface. After that, the remainder of the craft must be flown away before the rover lands to prevent a dust cloud that could damage it. Quick reaction, paired with delicate balance is required for you to help the Rover touch down on the Red Planet safely. Our team, partnered with developer Smoking Gun, worked closely with NASA to create an experience that was scientifically factual while still being fun to play. “We’ve tried to simulate that heart-pounding, sweat-dripping seven minutes using Kinect and using users’ control of their bodies to get the landing right,” Our faithful leader, Dave McCarthy says. The hope is, like classic arcade titles such as Atari’s Lunar Lander, the Mars Rover Landing will inspire people of all ages to learn a little more about the incredible things we’re accomplishing far, far away… all because of the power of our imaginations. What are you waiting for? Go download Mars Rover Landing today! Be sure to return August 5th to Xbox LIVE for even more surprises for the big day, too! This morning at the 2012 Xbox 360 Electronic Entertainment Expo (E3) Press Conference we revealed an exciting new project from our team here at Microsoft Studios called Nike+ Kinect Training. From the comfort of your own home Nike trainers (who work with the company’s top athletes) will provide you with a custom training program rooted in elite Nike fitness and specifically designed to help athletes of all levels reach beyond their potential. Through the magic of Kinect, the personal trainers within the experience can see how your body moves, assess your physical strengths and athleticism, identify areas for improvement, and create a personalized workout plan to help you achieve your personal best. With real-time feedback to make sure positions and movements are correct, the Nike+ Kinect Training custom program evolves as you do, helping you get fitter, faster and stronger. “Kinect becomes the eyes for ‘Nike+ Kinect Training’ instructors, bringing a new level of engagement and personalization to the program that blurs the lines between a personal training session and a game,” explained Yusuf Mehdi, the rather dapper and fit corporate vice president of Marketing and Strategy of the Interactive Entertainment Business at Microsoft. With fitness assessments and the ability to work out with friends over Xbox LIVE and tap into the Nike+ community, Nike+ Kinect Training helps athletes stay motivated every step of the way. Aspiring athletes take training even further by competing in challenges, sending encouragement to friends and keeping workouts on track with a mobile companion app! So, get ready! 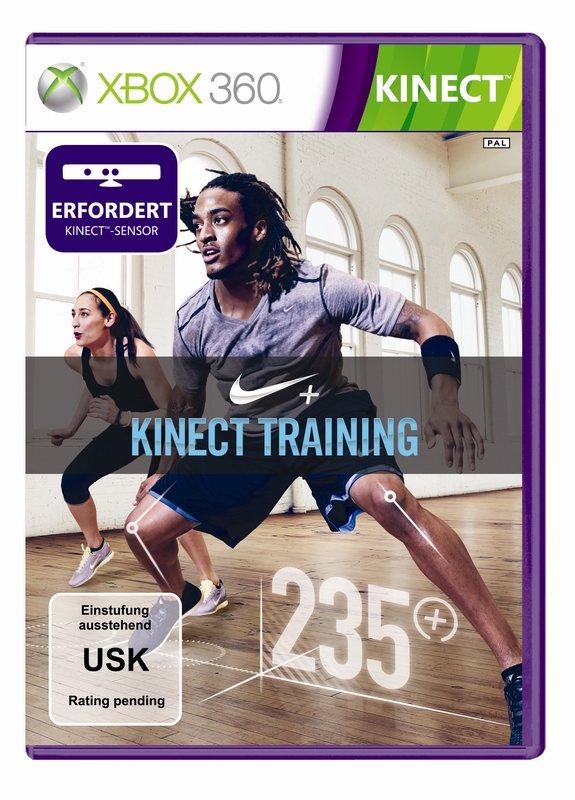 Nike+ Kinect Training will be available just in time to help you get rid of the holiday 2012 bulge. While some games out there might give you headaches Microsoft Research is working with a group of London super brains to enable touchless viewing and manipulation of images while performing vascular surgery with the help of Kinect. With this tech, complex aneurysm procedures are made easier and safer because surgeons can more easily maintain a sterile environment because they don’t need to manipulate equipment and they no longer need to rely on fallible human assistance to properly manipulate the visual-aid equipment. The only downside to this innovation is that you’d have to be some sort of brain surgeon to use it. The incredible space geniuses at The University of Surrey and Surrey Satelite Technology Limited (SSTL) are using Kinect tech to develop a twin-satelite in-orbit docking system called ‘STRaND-2’. Today on Venture Beat, game-industry super news guy Dean Takahashi and super star Kinect “Cheerleader” Kudo Tsunoda chatted all about Kinect and content. They discussed game developer’s gradual adoption of Kinect features as everyone learned which parts of the Kinect could work for existing games as well as how it could enhance the experience for players. New technologies can be tricky to master, but here we are a year and a half after the launch of Kinect and many developers are starting to get the hang of it! Want to read more from this conversation? Head on over to Venture Beat to read the whole thing! Which game franchises do you think should try to add Kinect features? Offer your opinions in the comments!